The Pixelache workshop with M.A.R.I.N. brings together artists and developers working with environmental sensors which are either connected as a network or log their data. During the workshop we will set up two sensor setups on Suomenlinna island: SenseStage and API Tatsipaa sensor node. The main focus will be on Xbee networking, data retrieval and storage. How does context of media art impact these designs vs. sensor data management in scientific environmental monitoring? Workshop leaders: Marije Baalman (NL), Tapio Mäkelä (FI), Mikko Sivulainen (FI), Tuomo Tammenpää (FI). **** M.A.R.I.N. (Media Art Research Interdisciplinary Network) develops collaborations around art, science and technology with a focus on marine ecosystems and field work at the sea in the form of workshops and residencies. 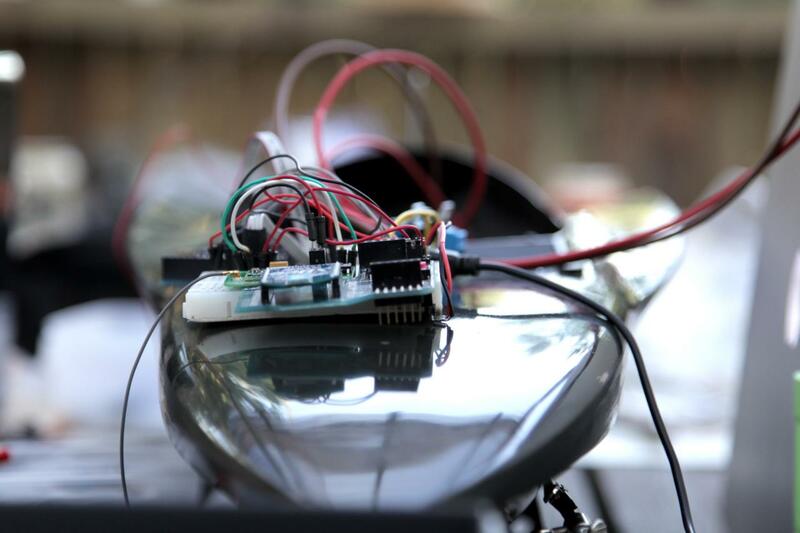 Participants can construct an individual Xbee equipped sensor node prior to the workshop. We hope to get an interesting mix of participants. This will not however be an introductory workshop. Participants are thus expected to have relatively advanced knowledge in platforms like Arduino and Xbee or alternatively databases, electronics, networking, or environmental sensors. During the Summer 2011 M.A.R.I.N. will host a residency series in and around the Baltic Sea. We hope that some of the technologies used and are further developed during the Pixelache workshop will enable project proposals for the residencies or end up used in art projects elsewhere. Tuomo Tammenpää is a designer and media artist based in Kemiö. He works with consumer and custom electronics as well as design. Tuomo is part of M.A.R.I.N. team for the summer 2011. M.A.R.I.N. WORKSHOP has been supported by Kulturkontakt Nord.